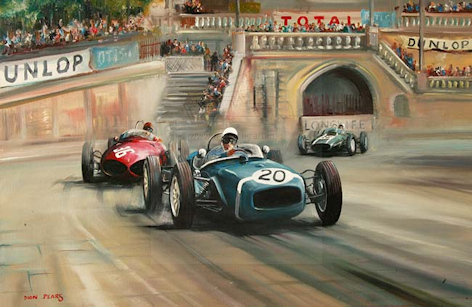 Dion Pears amongst other transport studies painted motoring subjects. He came from a family of Marine painters hence it is not surprising that sea paintings were part of his portfolio. 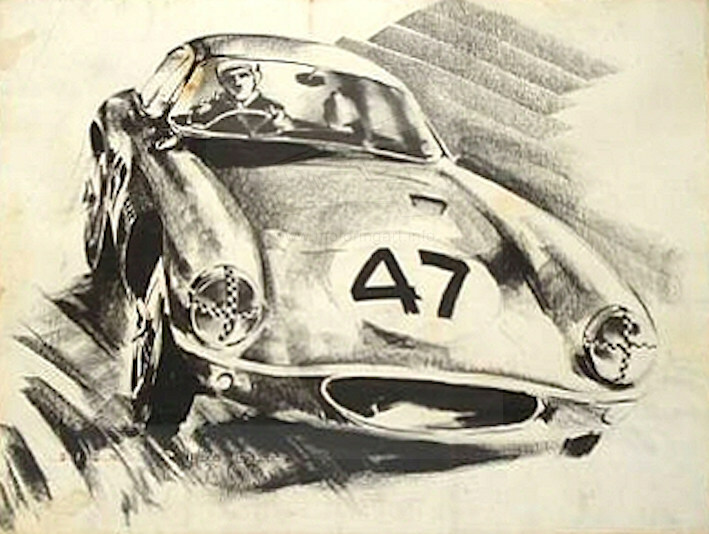 Dion Pears’ grandfather was the famous artist Charles Pears. 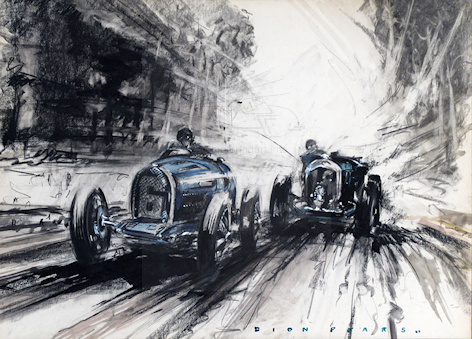 Dion Pears normally worked on fairly large canvases (around 3 foot square) in oils but he also did charcoal drawings and watercolours at smaller sizes. 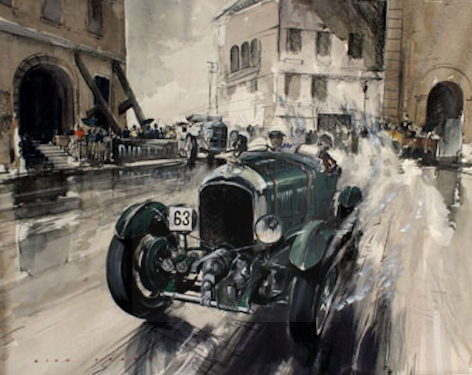 His large motoring oils tend to be very heavy and not very fluent. 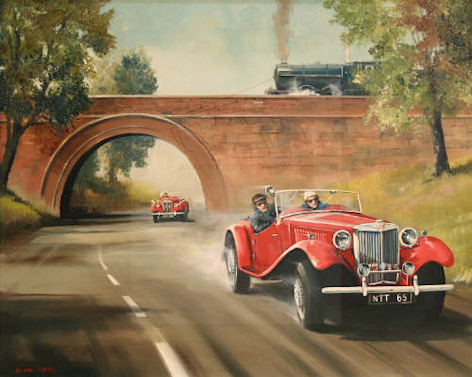 However, his maritime, aviation and railway art tends to be of a higher standard. 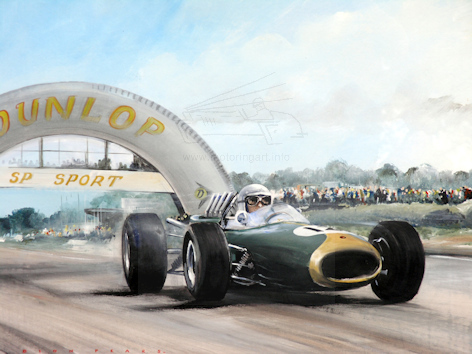 His motoring watercolours are normally very good with a loose style that gives the impression of speed. 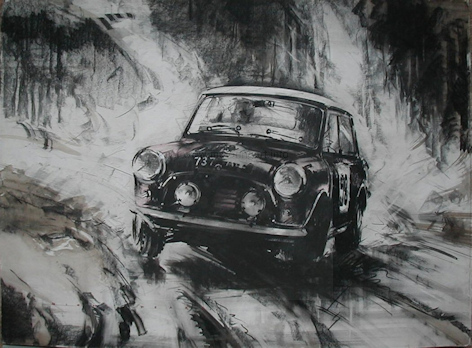 The few charcoal works seen tend to be heavy and dark like the large canvases. Dion pears lived in Worthing and it is said that in later years he was agoraphobic so had to work from photographs for his subject material. 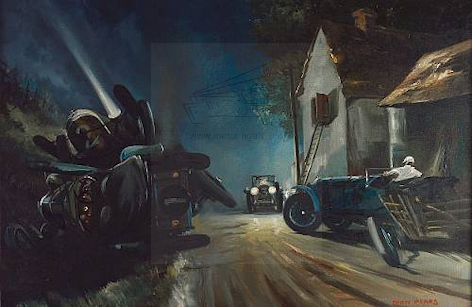 He was obviously a very prolific painter as each year several works come through the auction rooms. 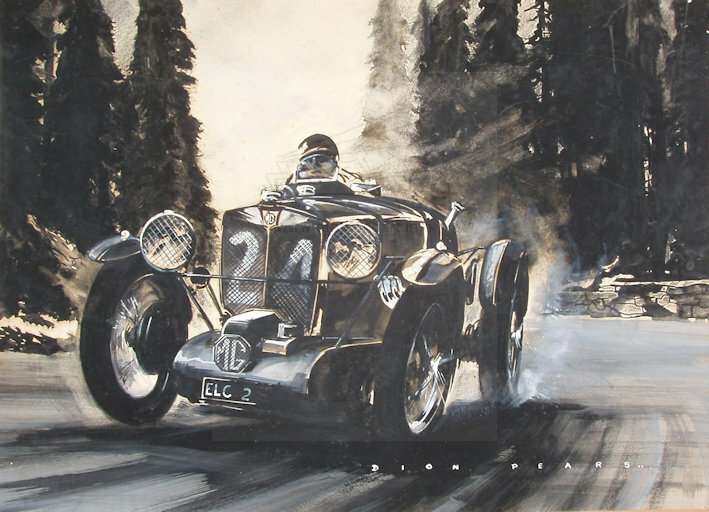 Besides the current Grand Prix he did sports car races and rallying scenes plus he did a large number of vintage Bentley pictures in race situations. It would seem that Dion Pears works were very popular in the USA and many of his paintings were exported. 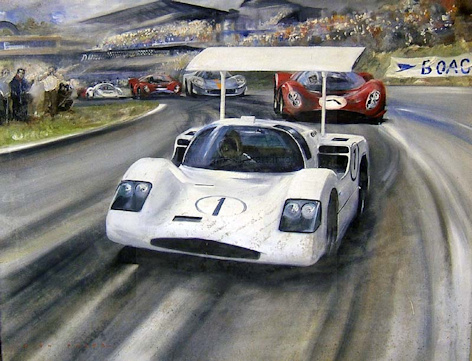 This is confirmed by one of his paintings being used as the poster for the 1969 Sebring 12 hour Race. 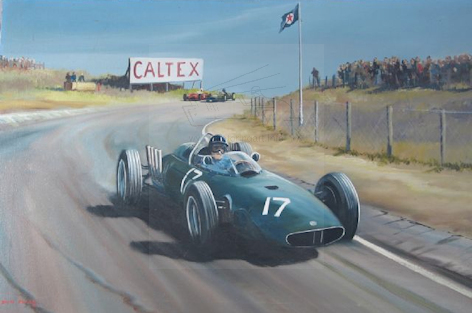 On the subject of posters his art was also used by the Great western Railway for travel posters Only one reference has been found of any exhibitions of his work and this was in 1972 to coincide with the annual Brighton Run of veteran cars. 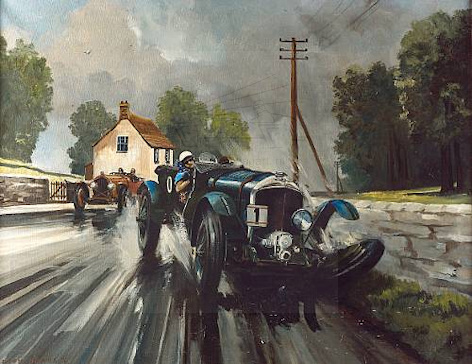 Although the quality of Dion Pears’ art can be variable he did chronicle the current motoring scenes plus all his historic work of earlier racing popularised motoring art.